Are you a tourist in San Miguel de Allende? Planning a trip for 2014 to our charming, historical Colonial city? Than ad to your "to do" list a "One Painting in One Day" workshop at Cristi Fer Art Studio! We offer the workshop every Thursday from 10 AM to 2 PM. If this is not convenient for you, call / contact us and we'll schedule a workshop at time and date convenient for you. Cost $75.00 including taxi transportation to the Studio from your hotel and materials. You will finish one 19" x 25" painting ready to take home and frame! We are experienced teachers with over 20 years of teaching experience, to students of all levels of experience. We keep the size of the group to up to 6 working with 2 instructors. 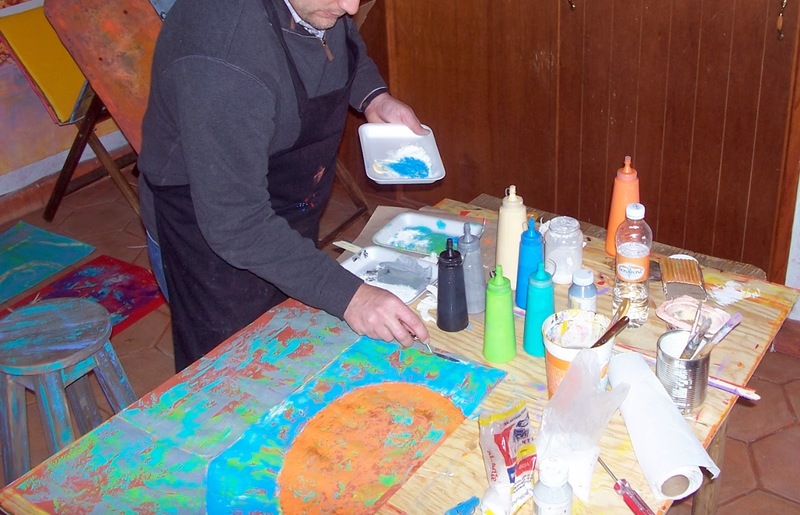 You may also practice you Spanish with Mexican painter Fernando Gonzalez. Contact us as soon as you are starting planning your trip!